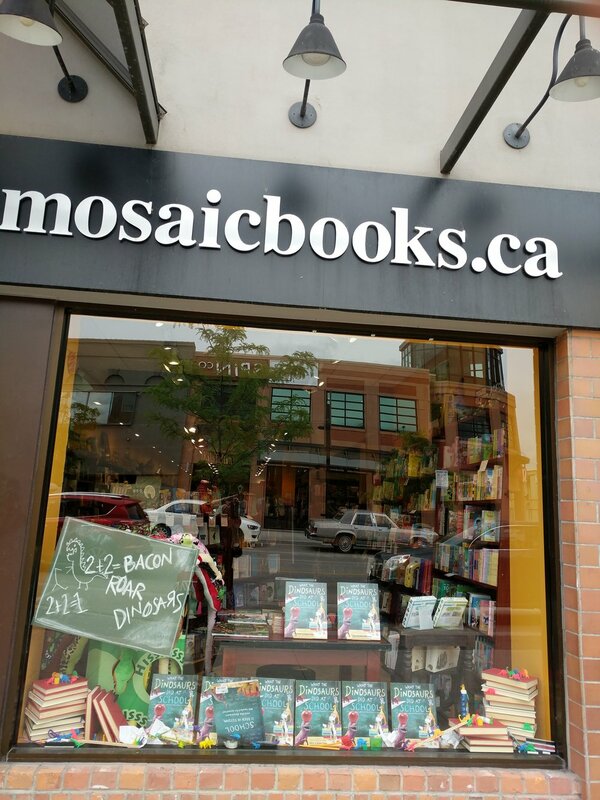 What the Dinosaurs Did at School - Mosaic Books Kelowna Window! Check out Mosaic's amazing window display for WHAT THE DINOSAURS DID AT SCHOOL, published by Hachette Book Group. In this follow-up to the hit What the Dinosaurs Did Last Night, the masterminds behind the social media phenomenon Dinovember once again envision the wonder and chaos of toy dinosaurs come to life - this time in a setting that's perfect for back-to-school!